As the economic climate takes time to recover, it isn’t surprising to see more and more businesses, large and small, across the region, continually looking at ways in which to reduce costs and increase business efficiency. This is definitely a positive trend that was triggered by the external economic environment, however, this is also something that all businesses should be paying attention to, in good and bad times, as this can have a direct impact on the bottom line. So what can HR do to make its contribution to business efficiency and cost savings? Day-to-day HR operations are heavily burdened with HR administrative activities that are more often than not still carried out manually with little or no automation. Payroll & HR Services outsourcing is a practical, easy to implement solution that can help many HR departments drive efficiencies and reduce costs, freeing up internal resources to focus on more value-added activities that harness employee engagement, contribute to the delivery of strategic objectives and drive capability development to support top line growth. Outsourcing could not be simpler. 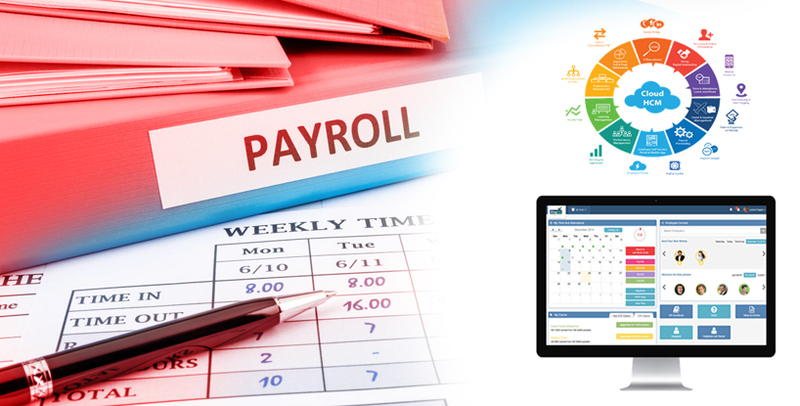 PeopleFirst provides a Payroll and HR services outsourcing solution via an online cloud based platform that takes care of all your current administrative activities related to Payroll and HR administration also known as HR services. Our outsourcing solution is a fully automated solution covering all aspects of the HR services lifecycle from on-boarding through to separation. This includes leave management, time and attendance planning/management, payroll & pension administration, performance management, recruitment and & HR analytics. Through our end-to-end Payroll and HR services outsourcing solution, we assist companies with streamlining their HR services activities, process all aspects of monthly payroll, automate letter generation, manage employee’s documents, generate pay slips and MIS & HR Analytics reports. Our online solution is complimented by a dedicated HR Services Partner who will act as the single point of contact and will provide professional HR support and guidance where needed allowing you to focus on tasks critical to the business. Our system is trusted and easy to navigate supporting the full HR lifecycle. Users have access to a web helpdesk to assist employees with HR related queries. Inefficient HR service activities add to your operating costs and our solution provides the opportunity for businesses to maintain minimal or zero in-house HR services resources whilst having access to professional HR expertise and a fully comprehensive HRMS platform. Our Payroll & HR outsourcing solution facilitates organizational agility and enables companies to experience measurable reductions in cost, time and resources. Clients can benefit from improved efficiency and enhanced service levels by outsourcing their transactional HR activities and services. Our offering ensures legal and regulatory compliance, compliance with WPS and supports accurate and on time payroll processing and automated approvals and controls. We adopt a partnering approach by dedicating a skilled and experienced PeopleFirst resource to partner with the client, providing access to HR expertise ensuring business needs are fully secured. We continually invest in our people, processes and technology to provide clients access to the latest skills, capabilities and professional HR knowledge. HR outsourcing frees up internal HR resources to focus on the strategic needs of the business, adding value where it is needed most. This process will enable in-house HR teams to transform themselves from a ‘reactive’ to a ‘proactive’ function and partner the business with the sole objective of developing capabilities, driving performance and business growth. PeopleFirst’s Payroll & HR outsourcing solution is designed to help you transform the way your HR meets the needs of the business with enhanced efficiency and productivity.